Jeb Corliss has re-upped his partnership with the world’s best case maker, Pelican. 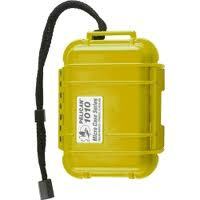 Also manufacturers of lights and other protective products, Pelican is the leader in its field. Jeb will work closely with the brand to promote their new offering in the consumer luggage space as well as continue to promote all their other product lines. Tia Blanco will be doing an Instagram takeover of the Svelte account tomorrow. Tia has partnered with the organic protein shake company to do a look into a day in the life. 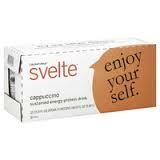 She will be posting images throughout the day and chatting how Svelte fits into her vegan athlete lifestyle. You can follow Svelte on Instagram HERE. Later in the month Tia will be doing a post for headphone company Sol Republic. Stay tuned to Tia’s Instagram HERE. Chad Kerley and Louie Lopez showed up to Dew Tour’s first Brooklyn stop ever in full force. With his technical mastery, Chad Kerley got a second place finish in Street BMX and wound up just missing the podium in Streetstyle. Louie Lopez, came out banging with a consistent flow of tricks in each second earning him a third place win in Street Skate. Jeremiah Smith and Brian Kachinsky also had solid showings and did RPRT proud in BMX Street and BMX Streetstyle. 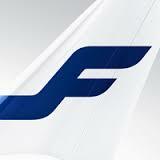 Arto Saari and Louie Lopez have been tapped for an online project Finnair is doing called “Match Made in Hel.” To promote travel to Finland using Finnair, the company is giving away a chance for skaters to come skate a private session in a closed off Helsinki airport. For more information on the contest you can go HERE. You are currently browsing the rprt: talent management, pr/marketing, events and branding blog archives for September, 2014.